Create a Circle with the Ellipse Tool (L). 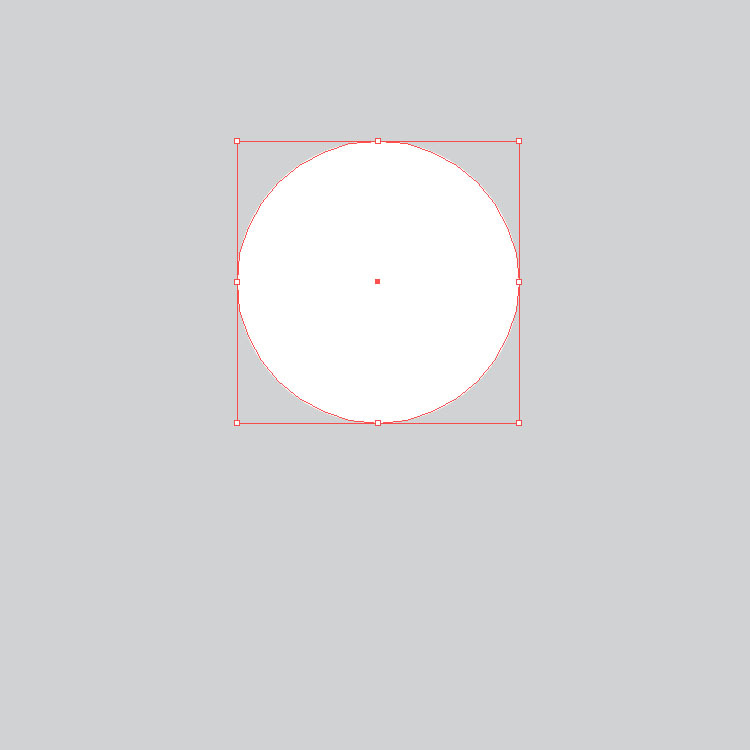 To be sure that it is a perfect circle, press Shift while using the Mouse to draw the circle. 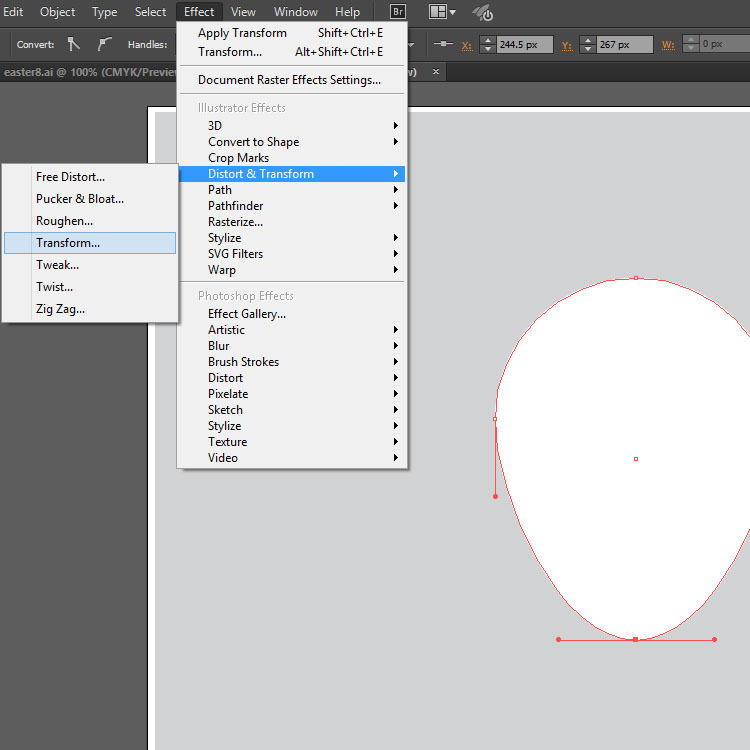 With the Direct Selection Tool (A), select the bottom Anchor point of the circle, and move it down with the Down Arrow Key on your Keyboard. 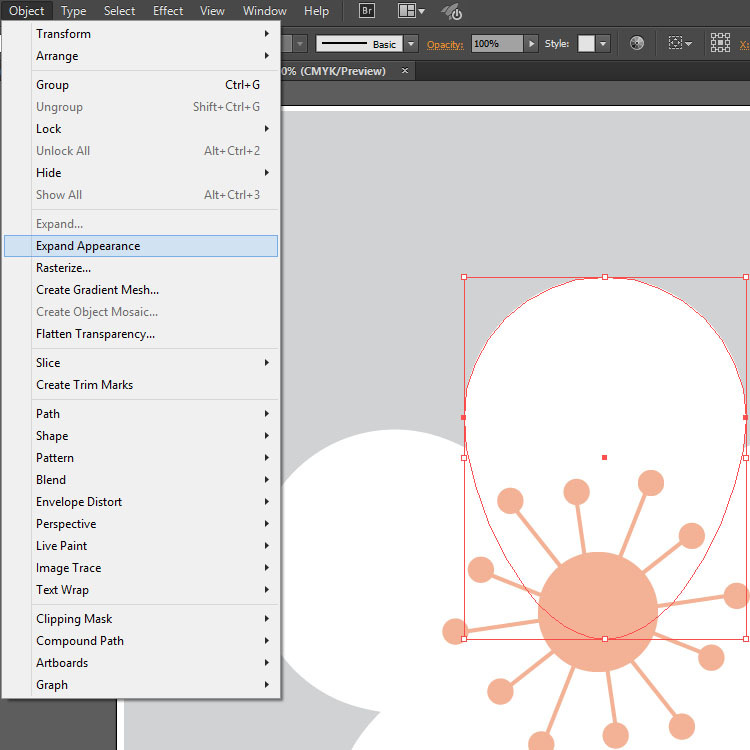 …and after you make sure that the Preview checkbox is checked set the values you see on the image below. Now you should see the flower or something similar. Create another Circle and place it to the center of the so called flower. 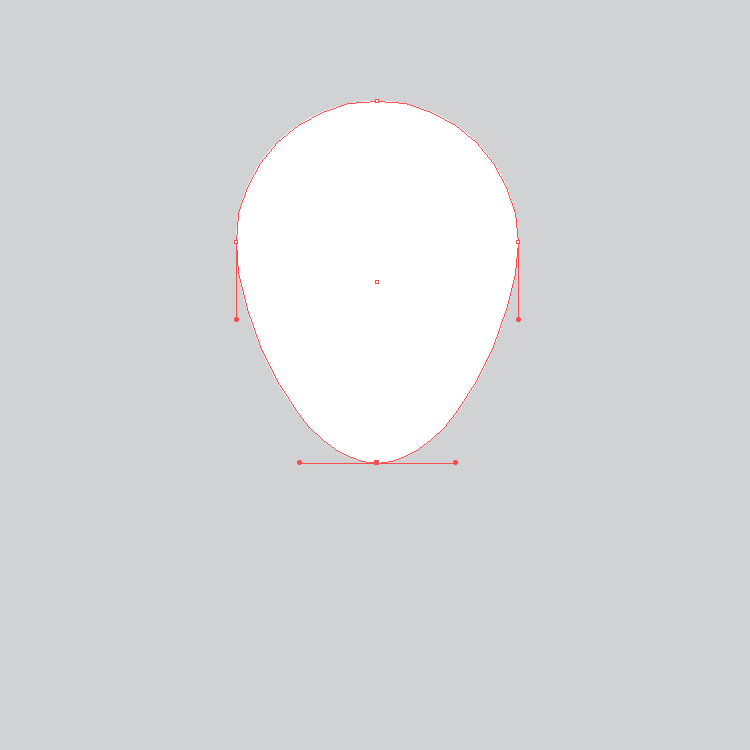 Create a line with the Line Segment Tool (\). Make sure that the bottom end of the line is near to the center of the Circle. 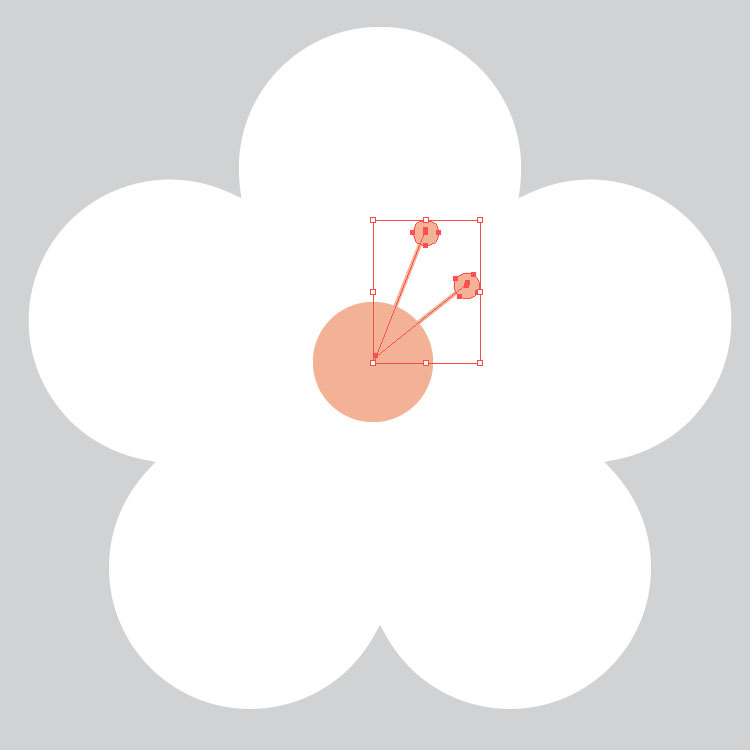 Set the stroke to 1pt and create another small Circle. Place the small Circle on the higher end of the line. Select the line and the small Circle group them (Ctrl + G), and duplicate them (Ctrl + C, Ctrl + V). Rotate the new group and modify it’s size, then place it as you see on the picture below. 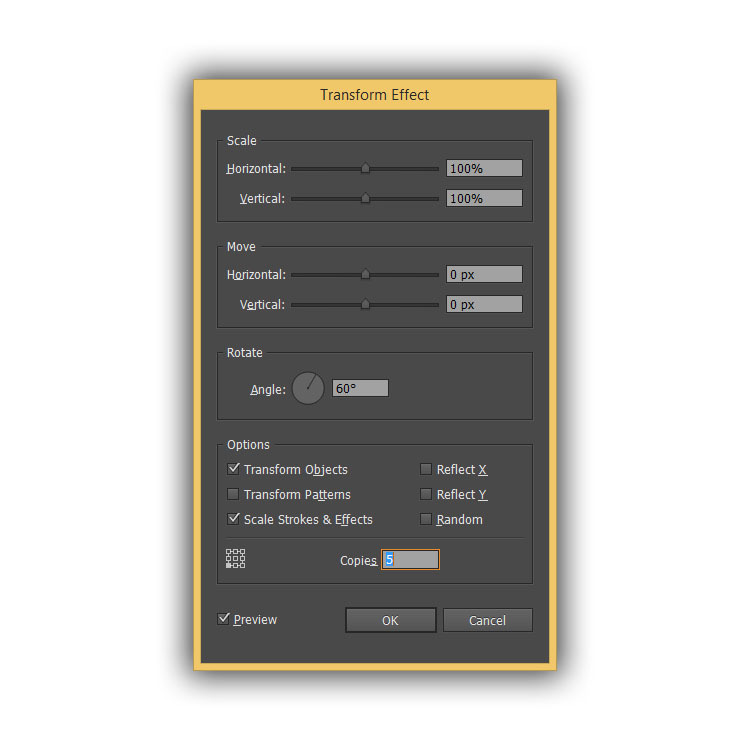 Go to the Transform Effects again and use these values. … you should see something similar. The last step is to Expand these objects. After this step you will be not able to edit the Transform Effect’s settings. And you’re done! It was really short, isn’t it? 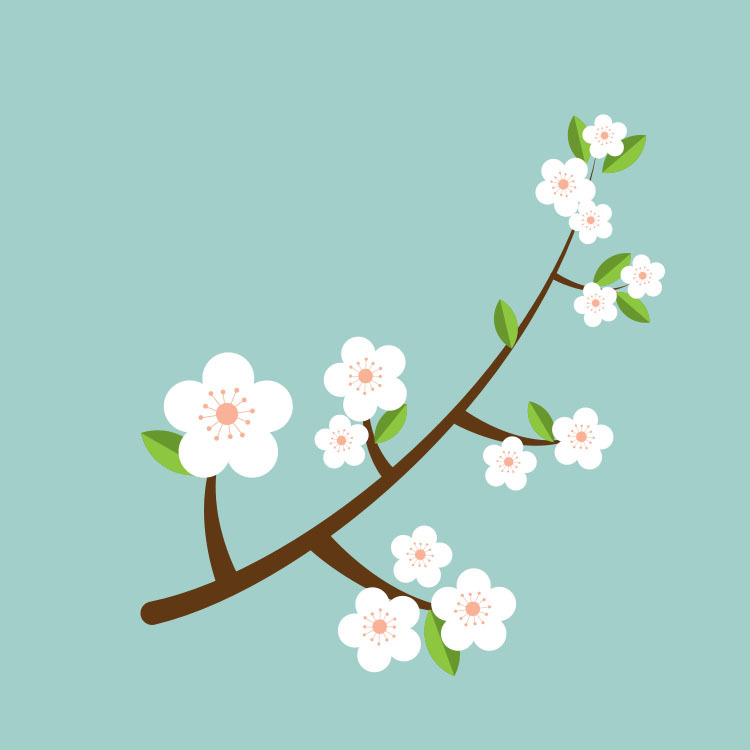 If you play a little with the result you can create a nice Spring background.